After a fun day of hitting the streets in Colaba, we decided to explore parts of lesser-known Fort and after a round of cutting chai and butter cookies on the street, we found ourselves just outside the Cathedral and John Connon School. Trying to make some sense of life (kids yelled out their latest holiday plans to Greece and Rome), we walked towards a seemingly normal, albeit old structure across the road, housing an antique store called Trafford House. Then, shrugging off the thought that our dreams here are futile (the wallet allows only so much), we stepped in, and boy are we glad we did. Not only was it an antique store, it turned out to house a secret brownie shop called Sleight Of Hand that probably has the best brownies we’ve ever tasted. Serving up a host of varieties that can boggle the mind (honestly, did any of you know about this?!) we tried the safe but not sorry original, the chocolate brownie (it’s got my vote), the lemon curd brownie and even the dark side brownie, and we knew that there’s no going back now. Apart from their delicious range of brownies (eggless and even gluten-free), they also have cookies, biscotti, chocolates, granola bars and even brownie cakes. Just take all my money. Just take it. I’m sure you’ve had your fill of some pretty awesome desserts but this one takes the cake. Make a day out of it in that part of town and don’t forget to end it on a sweet note. 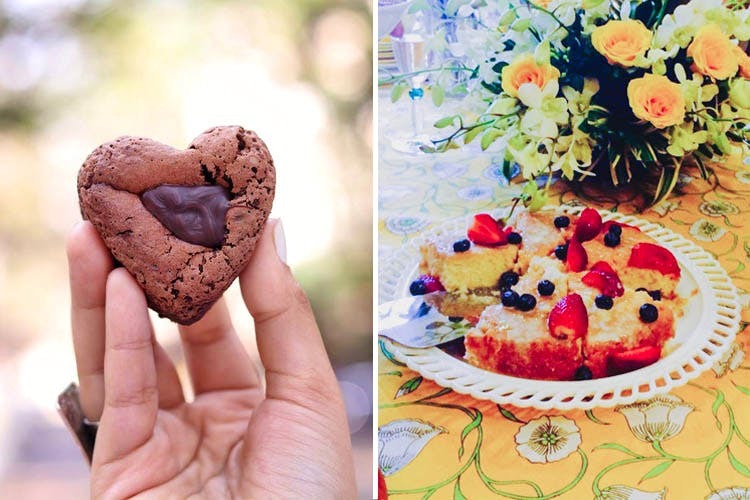 Price: INR 80 for chocolate brownies, INR 85 – INR 120 for fruit-filled brownies, INR 110 for nutty brownies, INR 90 – INR 150 for eggless brownies, INR 85 – INR 125 for gluten-free brownies, INR 200 for cookies, INR 200 for biscotti.